The Atlanta Hawks today signed forward Magnum Rolle to a contract, according to Executive Vice President/General Manager Rick Sund. Per team policy, terms of the deal were not disclosed. Rolle spent training camp with the Indiana Pacers, and appeared in five preseason games before being waived on October 25, 2010. Rolle was the 51st overall pick in the 2010 NBA Draft, selected by the Oklahoma City Thunder. He was then acquired by the Pacers in exchange for the draft rights to Ryan Reid. The Gatorade callup played in 15 games (seven starts) with the Maine Red Claws of the NBA Development League this season, averaging 14.1 ppg, 5.5 rpg, 1.5 spg, 1.3 apg and 1.2 bpg (.508 FG%, .585 FT%) in 25.9 mpg. 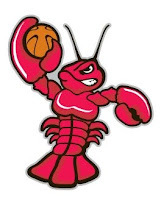 He was the third overall pick of the D-League Draft by the Claws. Rolle played his sophomore season at LSU, before transferring to Louisiana Tech. As a senior with the Bulldogs in 2009-10, he led the WAC in blocked shots (2.1 bpg), adding 13.9 ppg and 8.4 rpg in 34 games (33 starts). He finished his career with Louisiana Tech fourth all-time in blocks in just two seasons of action. Magnum Rolle was born on February 23, 1986 in Freeport, Bahamas, and attended St. George’s High School in Freeport before spending a year at Laurinburg Institute in North Carolina. He will wear uniform number 25.